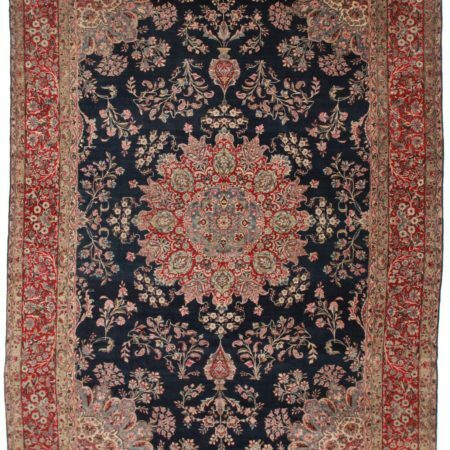 Persian Tabriz silk wool 13×20 Rug 10625. 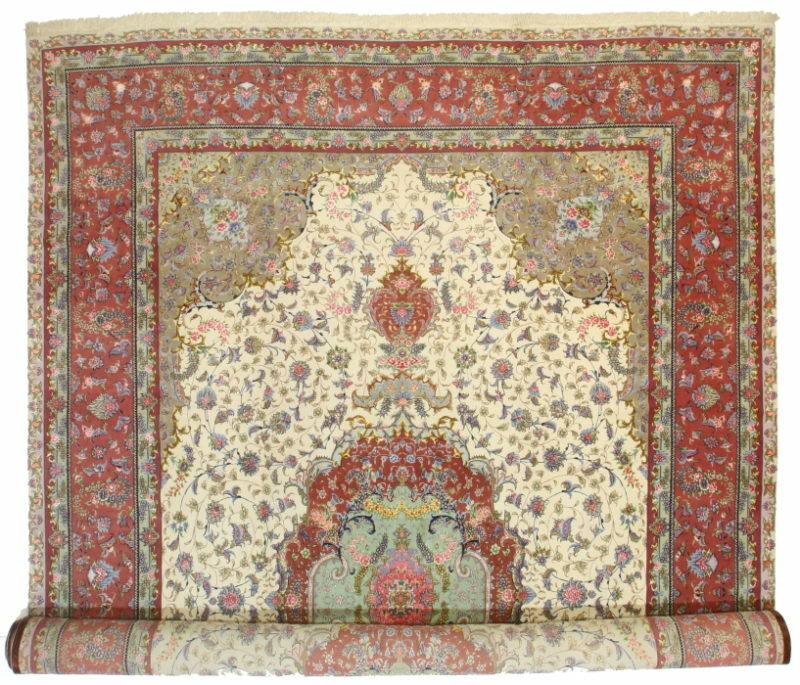 Very fine quality Persian Tabriz. 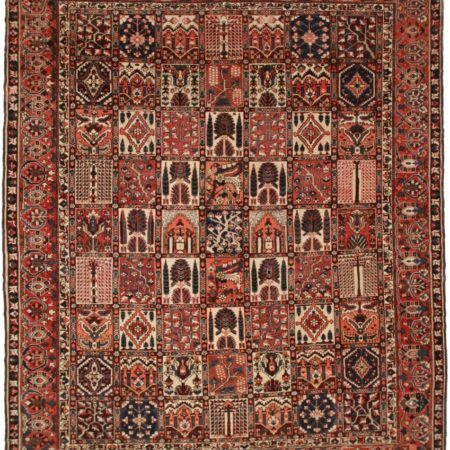 The base is 100% silk and the pile is hand knotted silk and ‘kork’ (taken from the neck, belly or underarms of the sheep because of its softness and quality) wool. Please look at the close-up picture from the back and front. 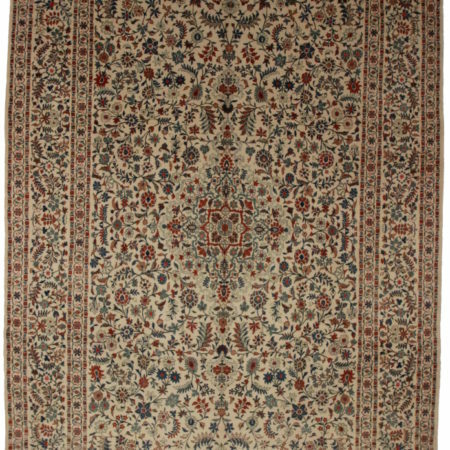 Persian carpets are produced in the so-called ‘rug belt’ region. They stand out by the variety of elaborateness of its manifold designs. They represent different, stimulates lines of tradition and reflect the history of Iran and its various peoples. 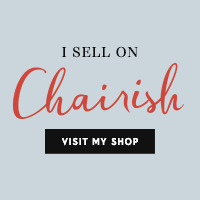 Many of them are treasured in museums and private collectors all over the world. 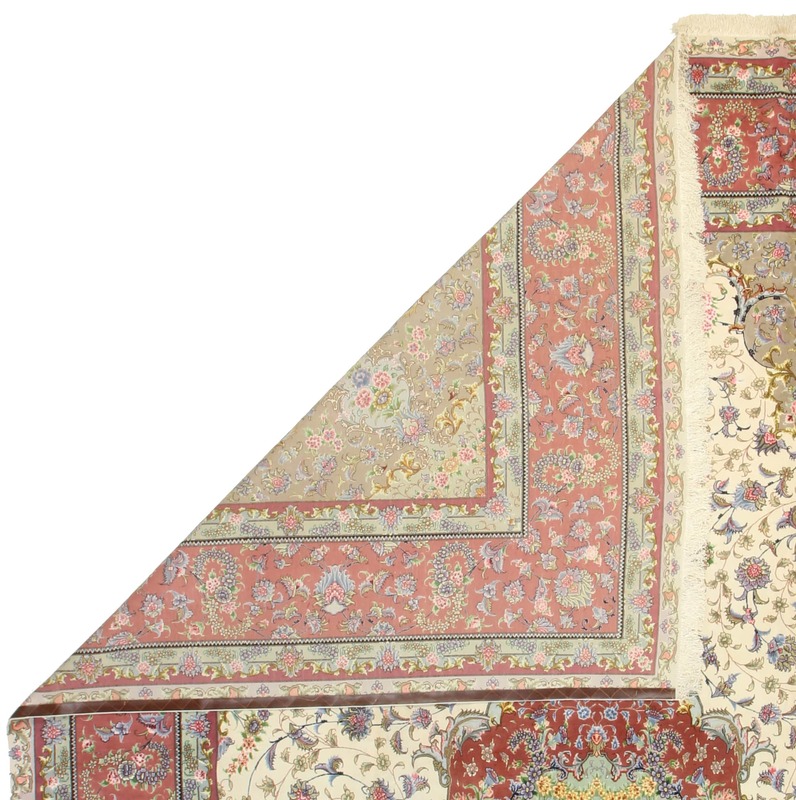 Their patterns and designs have set an artistic tradition for court manufactures which was kept alive during the entire duration of the Persian empire up to the last royal dynasty of Iran. They are outstanding because of their high-quality materials. Colors and patterns. Carpet weaving still plays a major part in the economy of modern Iran. However; they have kept the tradition of using natural dyes, tribal patterns and woven in the centuries old technique. Sheep’s wool is used to weave the rugs. The dyes are made from all natural colors from vegetables and plants. This carpet has a very unique Rhubarb color border all around that includes some green, with pale pink and blue flowers. In the center it has a ivory background with and elaborate flower design. In the very center there is a more varied combination of colors. It has olive green, pink, yellow and red. Every carpet is unique as each weaver makes his own design. They use their own imagination and hardly ever use a layout or plan as to what the carpet will look like. 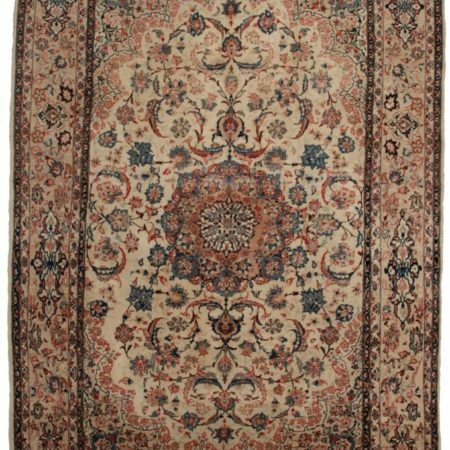 It is a perfectly vintage carpet that would bring any room to life.